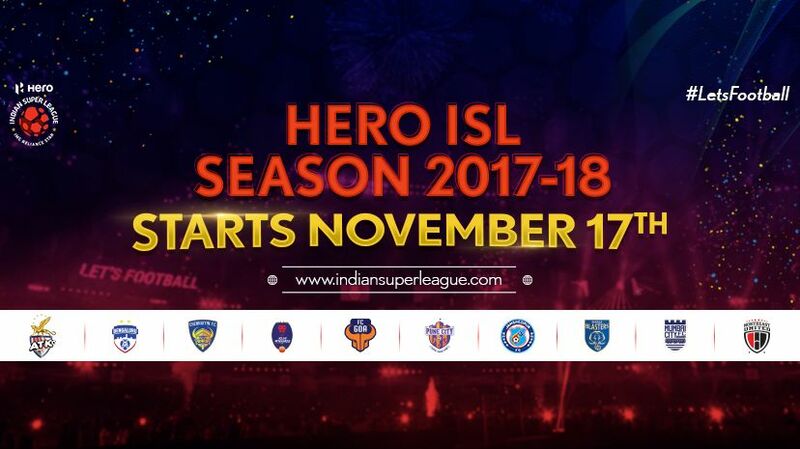 latest season of indian super league is kick starts on 17th november 2017, isl 2017 fixtures can be download from here. There are 10 football teams participating in the latest season of isl. Star network holding the broadcast rights of isl and we can watch all matches through star network channels. malayalam channel asianet movies already started the promo of isl, first match is between kerala blasters and Atletico de Kolkata. Update – Star network launching new channel Star sports kannada and isl matches live available through the same.